The new Clearview Windscreens website retains their existing branding colours and logo but brings their web presence bang up to date. Objectives included improving the look and navigation of the site, making it more professional and to give website visitors a better experience. 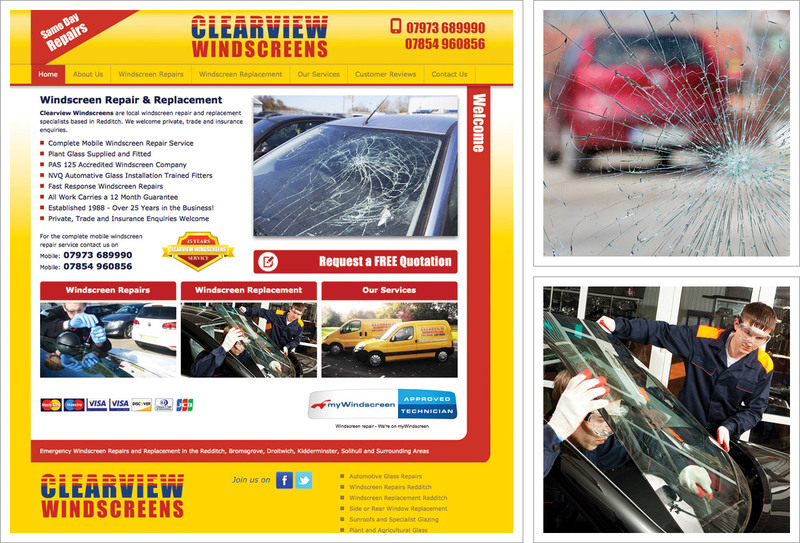 Professional, easy to use websites with relevant and useful content are more successful in converting website visitors to customer and following the Clearview Windscreens re-vamp this has certainly been the case with the website already helping secure a new contract. Facebook styling to match in with the website, web hosting and email mailboxes.